Invertek Drives continual growth in the global export market has seen the Welshpool-based company named as one of the finalists for this year’s Made in Wales Awards. Now in their seventh year, these awards celebrate the achievements of manufacturers from across Wales and Invertek is among five finalists for the Export Award with winners due to be announced at a special ceremony on Wednesday, October 11 at Cardiff City Hall. 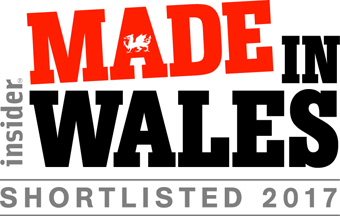 Rhydian Welson, Sales and Marketing Director, says: “I am delighted we have been shortlisted for this award because we are very committed to being based in Wales, so much so that we have just started work on a new 5,500m² factory next to our current headquarters in Welshpool. “We export some 90% of the variable frequency drives we manufacture at our current factory to more than 80 countries and to have this achievement recognised is very rewarding. “I must also congratulate our fellow finalists who all show that Wales really offers a vibrant environment in which successful businesses can very much thrive on the international stage. “Earlier this year we celebrated the milestone of manufacturing our one millionth variable frequency drive and now the new factory will enable us to meet even ambitious future growth targets by allowing more than 400,000 drives to be produced every year,” he added. The other companies shortlisted for the Export Award are SPTS Technologies, Dr Organic, Spectrum Technologies and Tiny Rebel Brewing. You can find out more about the awards, where 32 potential manufacturing and technology champions are shortlisted across ten categories, here.